As more organisations move to the cloud it is essential they invest in a proper cloud services platform. With its greater performance, reliability, and scalability, it is little surprise that we’re seeing a boom in the deployment of public cloud services. According to a recent survey by Gartner, companies consider public cloud to be both the most disruptive and most impactful issue facing them in 2017. In fact, IDC predicts that the worldwide public cloud services spending forecast will double to more than $141 billion by 2019. For most organisations, this first venture into public cloud has been in deploying new applications to engage with their customers (systems of engagement). Now, having successfully used public cloud platforms for these new applications, a growing number of application development and delivery leaders want to bring the same benefits of fast delivery, high security, and cost flexibility to core business applications. Organisations are increasingly developing multicloud strategies – incorporating both private, public and hybrid cloud - to support various applications, each with different performance, reliability, and scalability requirements. The first wave of applications that moved to the cloud were native cloud applications, mostly web and mobile. Now, a new wave is underway with organisations starting to migrate test and development instances - and in some cases, production instances of traditional workloads - to the cloud, including CRM, financial applications, and other business applications. As these applications often control important transactional business processes, they place far greater demands on storage, and require enterprise-grade availability and data services that are not provided by native cloud storage. These factors, along with a lack of data mobility and limited visibility across different clouds, have slowed down enterprise cloud adoption for business applications. 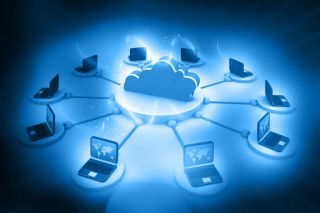 But with this new growth in deployments of traditional workloads to the public cloud, coupled with a number of cloud providers now claiming to have created storage services that can accommodate this shift, it is essential that IT directors are assured that the service they choose will meet the security, mobility and performance demands of the business. The differences between native cloud storage offerings have a great impact on the types of applications that businesses feel comfortable running on a given cloud. Native block storage offerings, in particular, have massive variance around data durability (likelihood of data loss), differences in performance characteristics, and data services like snapshots (fast and efficient data protection), efficient cloning (to reduce development costs and time), encryption (ensuring data security) or allowing multiple hosts to share the same volume. These limitations have delayed some classes of applications, like transactional databases, moving to the public cloud. The stark difference between many native public cloud block storage offerings and traditional on premise storage means that many organisations are now looking to adopting a multicloud storage model that spans on-premise and multiple public clouds with the durability and data services only available today with on-premise block storage. Offering a new set of capabilities that enterprises need, multicloud storage enables businesses to seamlessly manage multiple public clouds and on-premise storage, providing enterprise-grade durability and instant migration from one public cloud service to another. With a recent survey by Rightscale showing that those businesses using the public cloud on average use 1.8 public cloud offerings for production and are actively experimenting with a further 1.8 offerings, it is clear that data lock-in is a great risk when executing a multicloud strategy. This is a common challenge for these organisations that must deal with the different storage services offered by each provider, and the time and cost associated with moving data from on-premise to public cloud, and from one public cloud provider to another (not to mention then moving data back on-premise if needed). Multicloud storage provides one further key capability – working seamlessly with on-premise infrastructure. One recent survey by ESG found that 74 per cent of businesses indicate that it is critical/very important that public cloud infrastructure is compatible with on-premise infrastructure. With the potential to empower businesses with the confidence in their underlying storage regardless of where their application is running - whether the applications are on one of several public clouds, or on-premise - the underlying block storage of multicloud storage will provide the same enterprise-grade performance, data services, manageability, and durability. When adopting a multicloud strategy, it’s essential that organisations ensure that the service provider has the capability to match and exceed the applications requirements, that means the new flexible service won’t still face the age-old challenge of application delivery delays. As businesses increasingly diversify their storage services, running potentially thousands of applications across private and public cloud and on-premise, it’s essential that they still have uninterrupted, rapid access to data and visibility to the cause of any slowdown which compromises the applications capability to deliver service. When data delivery is disrupted, an app-data gap is created, frustrating the user experience, impacting the business outcome, and ultimately hindering an organisation’s effectiveness. These lost moments soon add up, with research commissioned by Nimble Storage indicating that a typical employee experiences an average of four software caused delays per work day, each lasting about seven seconds. This accounts for a staggering £744,235,520 loss in productivity from the British economy every year. Organisations should, therefore, look to providers offering services incorporating predictive analytics solutions that monitor the platform in real time, which can anticipate and remediate complex problems as they happen. This not only helps avert hot spots and simplify planning, but supports IT managers in making long-term predictions around their data storage management. Public cloud holds massive potential for businesses to bring greater performance, reliability, and scalability to traditional workload applications. However, with the heightened security, mobility and performance demands of these applications, it’s essential that organisations invest in a cloud services platform that will help them reap its potential reward rather than incur data lock-in, or put performance or security at risk.